Josh was born in Huntington, WV and raised in Gastonia NC. He is married and has twin toddlers, Harrison and Lydia. Josh and his wife are active foster parents who work closely with local foster care agencies and help advocate for underprivileged children. Josh attended Appalachian State University from 2002-2005 and has been actively involved in real estate since 2005 when he began rehabbing and flipping properties for profit while in college. In 2006, he received his real estate license. What started as a dream quickly evolved into a passion for helping investors grow their portfolio’s through real estate purchases. 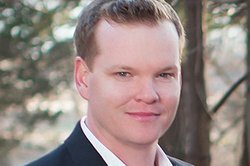 Josh worked for a property management company in Charlotte NC from 2006-2009 and quickly developed into a top agent with a niche in investment real estate. While working in Charlotte, he grew the company’s investment side of the business into a successful endeavor which is still going strong today. Prior to the recession in 2008, Josh represented clients from all over the country and world. He represented investment groups in San Diego and San Francisco in purchasing properties throughout the Charlotte region. In 2009, Josh made the tough decision to leave the Charlotte firm and turn the dream of owning his own business into a reality. In August of 2009, Providence Management & Investments LLC was born with the help of his friend and mentor, Frank Stewart. What some people called lunacy; he called “the right moment” to start a business in the middle of a recession. In 2014, Josh was awarded a contract to list and sell properties for Fannie Mae and he hopes to continue to grow the REO division for Providence. Josh continues to help novice-to-seasoned investors alike live their dream of learning how to flip properties for profit. Since 2010, Josh has partaken or overseen 50+ homes flip and sell for profit. Alone, he expects Providence to flip 20+ yearly as early as 2015. With every flip that Providence sells, it donates a portion of its proceeds to local charities and/or provides needed items to local children. If you would like more information on investment real estate, please contact Josh anytime.